SAN ANTONIO - Authorities on Sunday upgraded the charges against a 28-year-old man who ran from the scene of a deadly crash last month. Joshua Michael Franklin, 28, is now charged with intoxication manslaughter, along with failure to stop and render aid causing serious bodily injury/death. 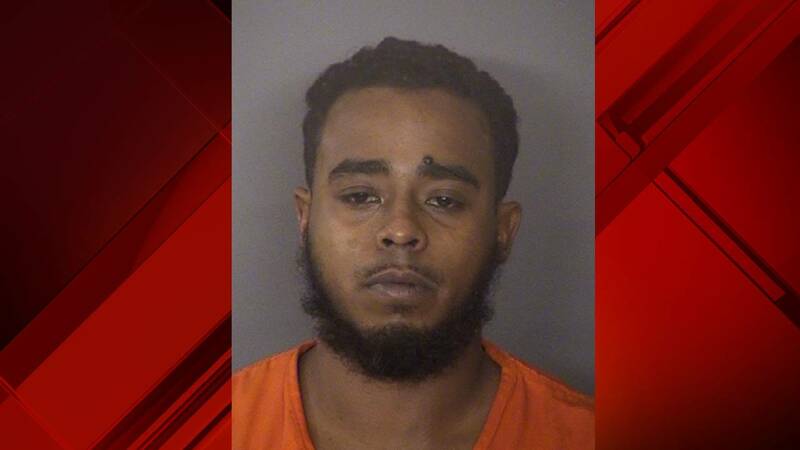 Police said Franklin was speeding down Loop 410 South access road in a SUV and hit a car carrying 21-year-old Olivia Rae Heffinger and another female passenger. Heffinger died at a hospital on Feb. 18, a day after the crash. According to an affidavit, a witness told authorities he saw Franklin get out of the car after the crash and walk away from the scene. The witness said Franklin took off the red shirt he was wearing at the time of the crash and continued walking toward Culebra Road. The witness said he lost sight of Franklin and kept driving, but decided to go back to the area and saw Franklin at an Exxon gas station at 7203 Culebra Rd. -- approximately a half mile from the crash. The witness said he called 911 and alerted an off-duty school district police officer at the Exxon. A San Antonio Police Department officer confronted Franklin at the gas station and the officer's body camera recorded the exchange. Court documents said Franklin asked the officer "did anyone die?" and "are they OK?," and said that he had been involved in a crash. The officer asked Franklin what had happened, and Franklin said he was driving home from work when he crashed and rolled his vehicle over. Franklin said he walked away from the scene because "he was surprised that he was alive." Franklin initially told police he didn't drink before the crash, but later told police he had "two shots of whiskey" and that his last drink was around 4 p.m., approximately three hours before the crash. The officer performed a field sobriety test on Franklin and observed several indicators of intoxication.